Recently, I was given the opportunity to try a new brand of green tea that I have never heard of. I am not a tea drinker. 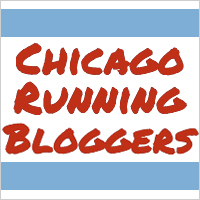 I have tried teas and really didn't care too much for them because the flavors never appealed to me. However, certain teas have so many health benefits and can help for so many things, ranging from fat loss to sleep. When I was approached with this opportunity, I mentioned that I was not a fan of tea, but I kept in the back of my mind the health benefits of green tea. Especially when it came to weight loss. I usually get a small amount of green tea through my supplements that I take, but I figured I would try something new. The company also mentioned that I can cook with it, which is another reason why I came aboard to review this product. 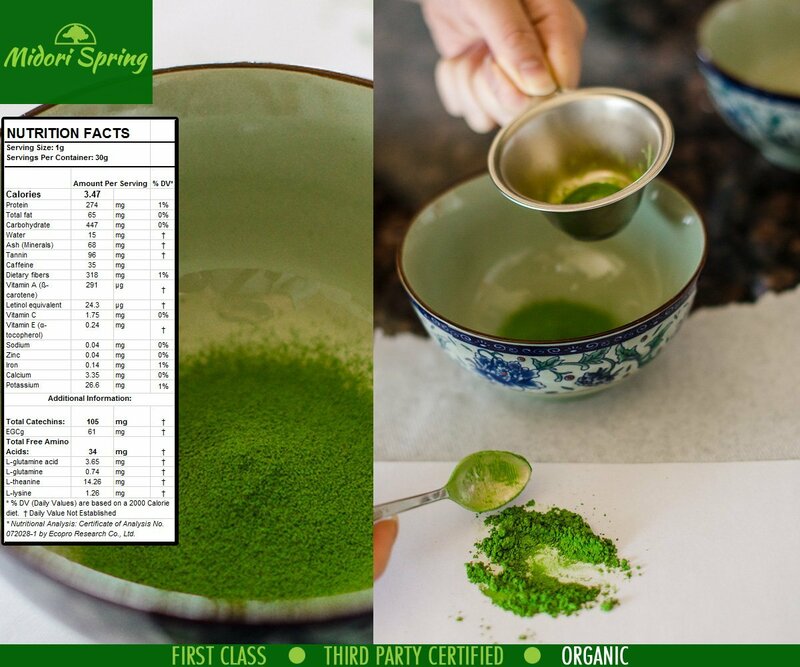 Midori Spring’s Ceremonial Gold Matcha is rich, smooth and creamy with a hint of sweetness when brewed traditionally. Only the best and darkest tencha are used for Gold Class. Gold Class has a fresh, sweet, green-vegetable-like aroma and the colour is a vibrant emerald green – a trait only high quality Ceremonial Grade Matcha encompass. 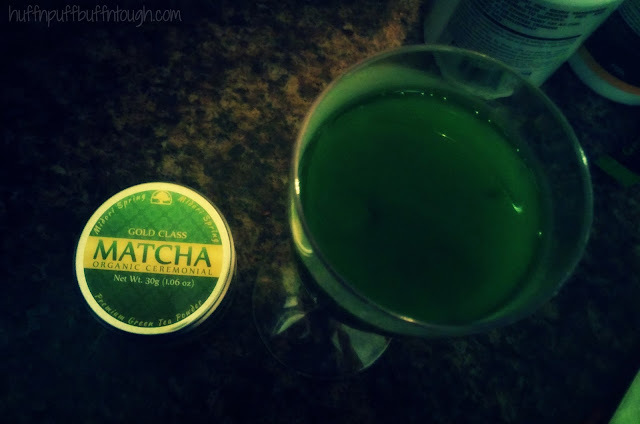 You can enjoy a Gold Class traditional brew or you can create your own Matcha inspired recipe. Whichever style you prefer to have your Matcha, you can experience the numerous health benefits it has to offer. 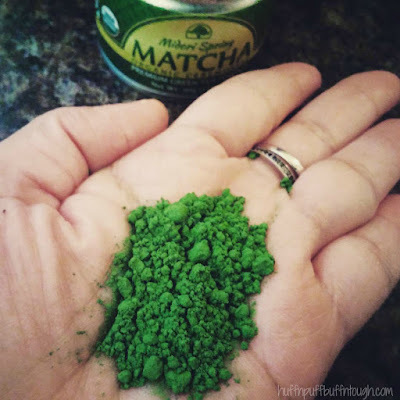 There are many immediate and long term health benefits when consuming Matcha, which include: increase in energy without the jitters, reduce stress and improve mental alertness, improve metabolism and help with weight loss, boost immune system and reduce inflammation and help the body cleanse of harmful toxins. I followed the directions on the label. 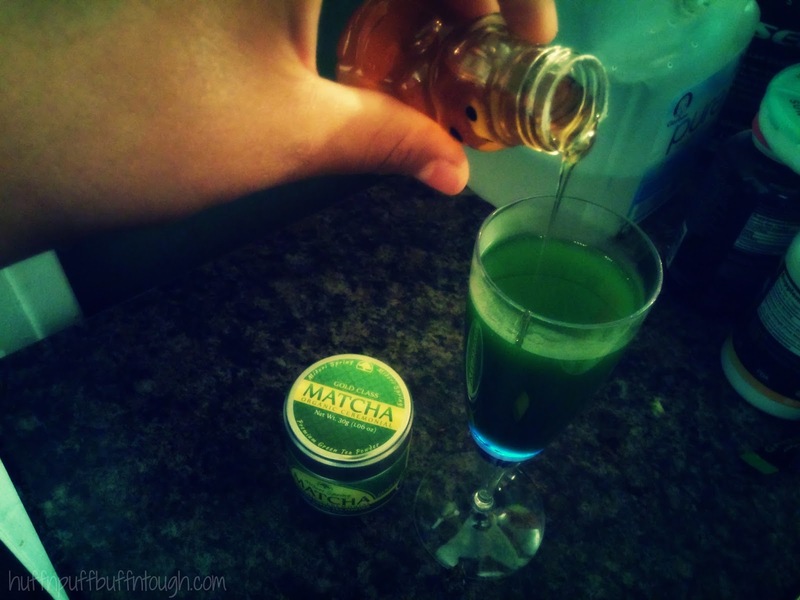 The directions called for 60ml (2oz) of hot water and 2 teaspoons of the green tea. The label tells you to whisk in a "W" motion until it foams. You can adjust water levels to your liking. The taste wasn't horrible, but it wasn't enjoyable either. It was something I could stomach and not think twice about it. I added some honey to it, which actually made it a slightly enjoyable to drink. I don't enjoy it as much as my coffee, but this is something I could get used to drinking on a regular basis solely for the health benefits and not for the taste. I have not cooked with it yet, but I am eager to my hands on some pancake recipes that include green tea and I'll be sure to let everyone know how it goes! Disclosure: I have received these products free for product review purposes. All thoughts and opinions are my own.